Susana Hall is a vibrant and friendly woman who resides at one of WellLife Network’s 36 residences for individuals with intellectual/developmental disabilities. Susana is of Panamanian ancestry and speaks fluently in both English and Spanish. At the residence, Susana is a “Domestic Diva” and loves to help the staff with preparing meals for her housemates. She proudly incorporates her Panamanian ancestry in many of the dishes she prepares. “I love living here,” said Susana, the staff teaches me new things all the time, like how to clean my room and cook new dishes”. Susana and her housemates have lived together since the residence opened in 2007. She considers them to be an extended family and is looked upon as a “big sister”. Susana’s work day consists of cooking with her “sisters” and volunteering at a nursing home in the community. 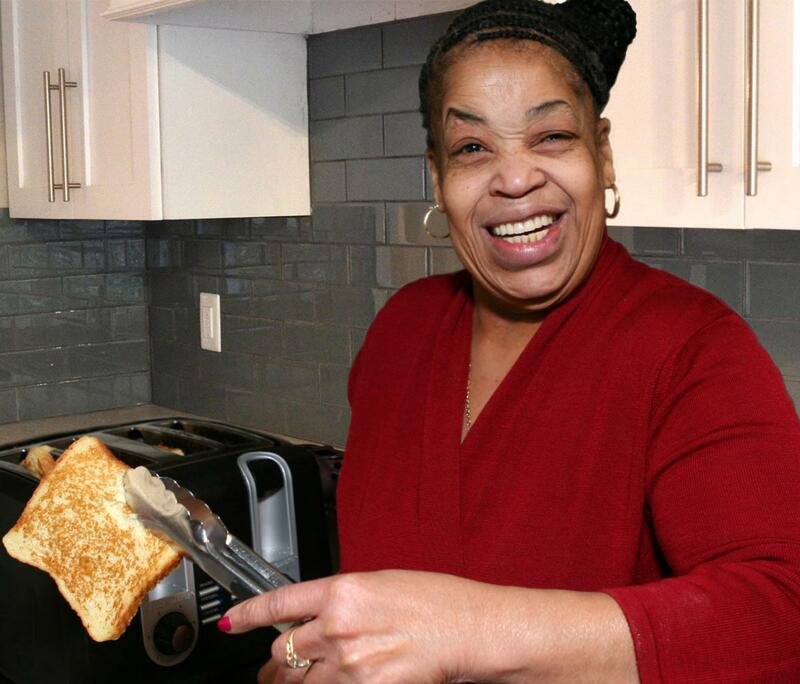 Her French Toast is considered “the best” in Queens, New York. Susana greets any visitor to the residence with a warm smile and a big “Hello” and loves showing visitors her bedroom where she very proudly displays mementos from her many trips with her family and housemates. Susana is fortunate to have a very close bond with her large extended family and enjoys traveling on family vacations. In the future, Susana would like to create a cookbook with all of her favorite recipes to share with family, friends and the community. 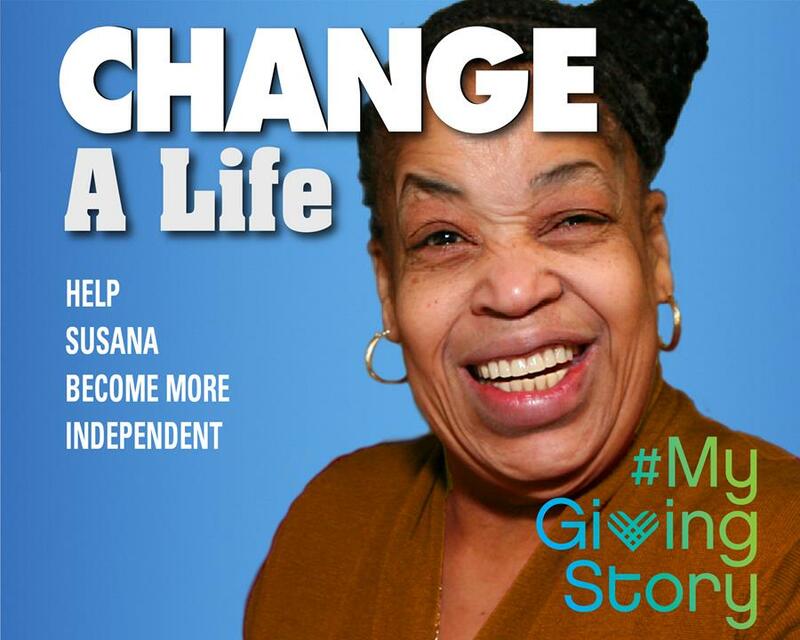 To WellLife Network and the staff who assist her, that is what makes Susana One of a Kind. 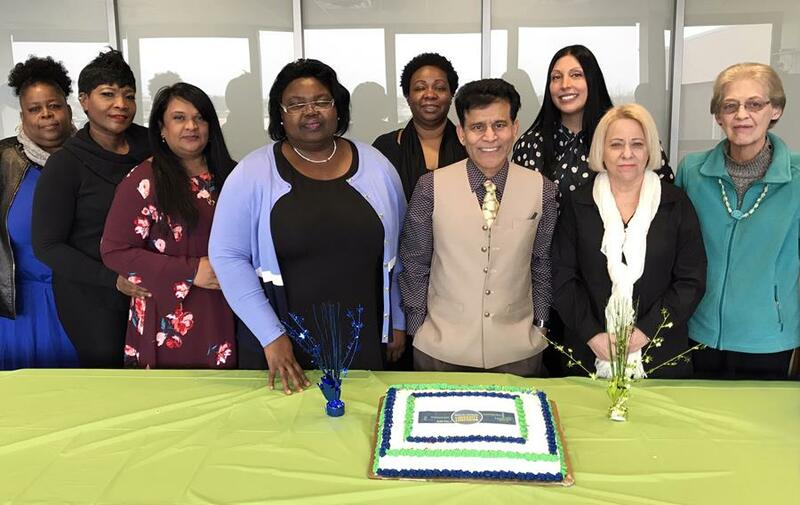 WellLife Network honored 28 loyal employees who have worked for the agency 15, 20, 25 and 30 years at its Annual Staff Longevity Luncheon, organized by the HR Department on February 22, 2018. 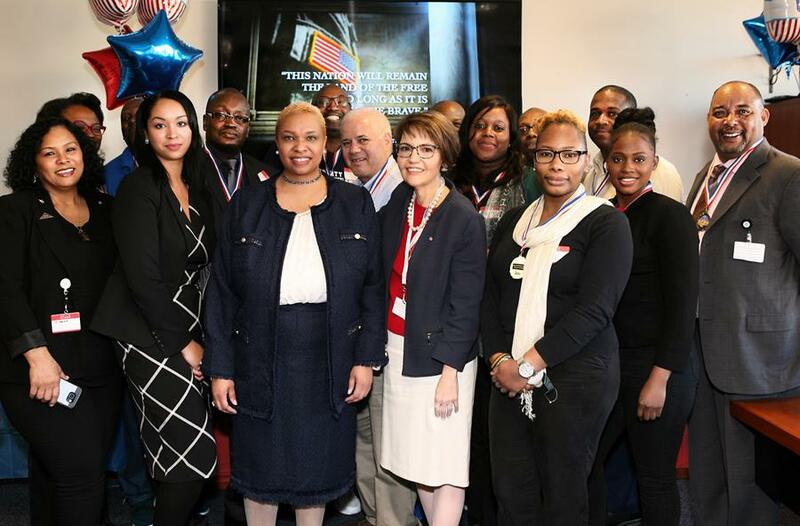 Collectively, the staff brings more than 535 years of program and support services – ranging from residential, day habilitation to case management, pre-vocational training, infrastructure services and more. Honorees were given a Certificate of Appreciation, an honorarium and for those serving 30 years a beautiful crystal clock. 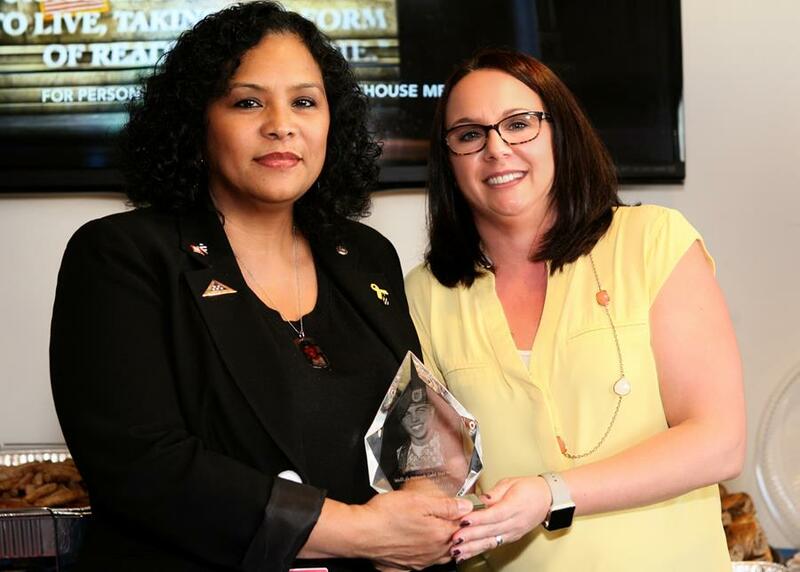 Honorees spoke of their journey at WellLife Network and how their efforts made a steadfast impact on the lives of thousands of individuals we serve each day. 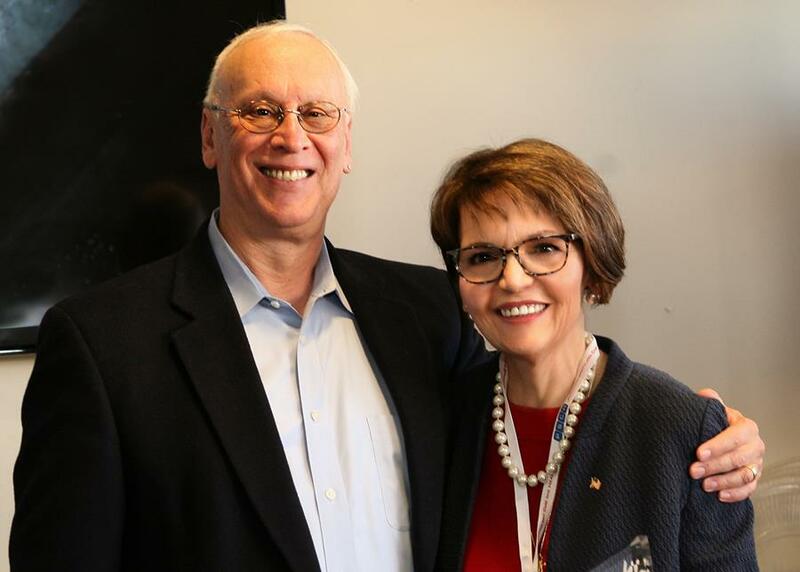 Linda Iannatto, Utilization Review Coordinator, a 20-year veteran, noted that working for WellLife Network all of these years is like working with family. “I gave up a career in business to be able to help people," stated Linda. Money did not matter to Linda, nor a bigger paycheck. 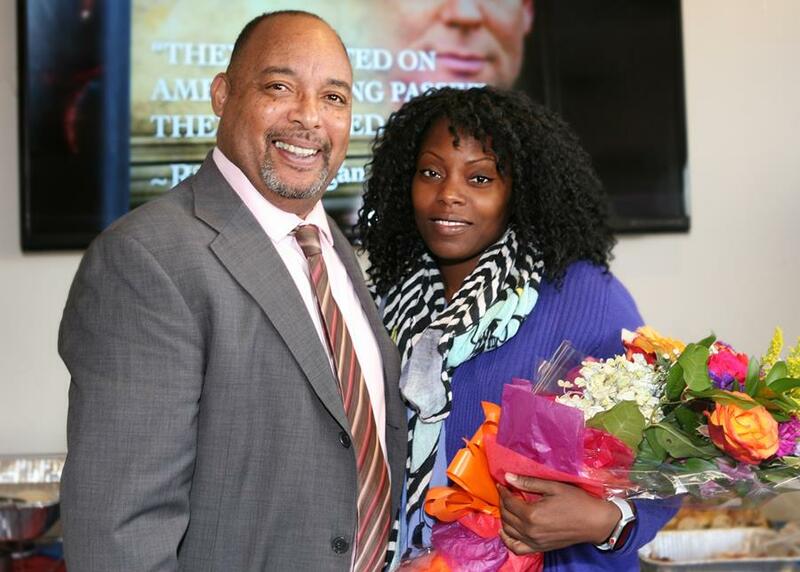 She went back to school to earn a Masters in Rehabilitation and realized her dream of helping individuals in need. At WellLife Network, Linda works in the Quality Assurance Department. Join us in congratulating the following staff who each day empower individuals to lead more independent lives. Their talents and skills strengthen our outreach to the communities we serve and demonstrate that, as an agency, we truly embrace our mission of helping individuals realize their full potential by achieving meaningful life goals. Few things are more sad than to know that an innocent child has been victimized by sexual violence. At age ten, Felix lost his innocence when a family member molested him at a birthday party. Felix is now a sad statistic of one in seven boys, under the age of 18, who have experienced sexual abuse. The U.S. Department of Health and Human Services reports that in 2017 there have been more than 200,000 reported cases of childhood abuse and molestation in New York State. Thousands more go unreported. One in five children in your community has been sexually traumatized. We also know that the effects of this experience are long-lasting. Many children who are abused turn to drugs, alcohol or even attempt suicide when they reach their teens. Each year, WellLife Network helps young boys and girls – like Felix – to heal, recover and become survivors. As a WellLife Network supporter, you can help children and their families overcome their fears and horrific memories. 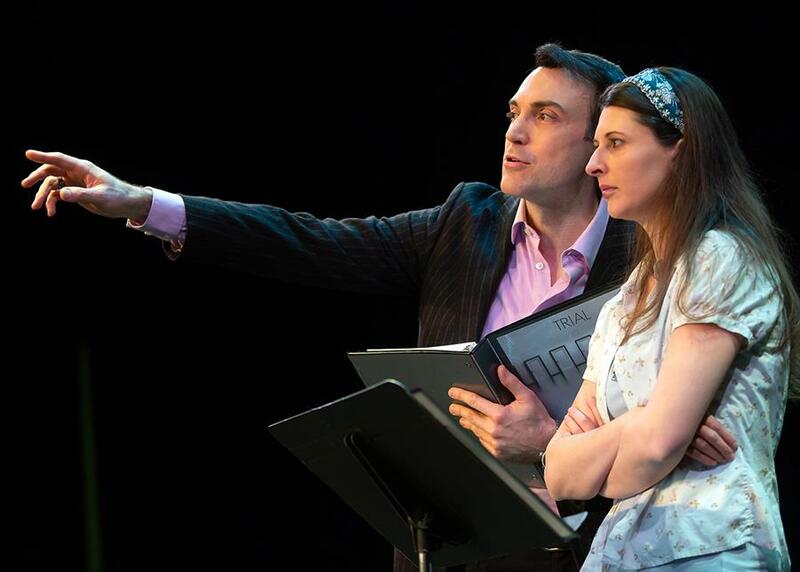 This March, we are sponsoring the highly acclaimed play called TRIAL, written by Ashley Griffin (The Greatest Showman, "Hamlet" in Hamlet) and directed by Lori Petty (Orange Is the New Black, Gotham). 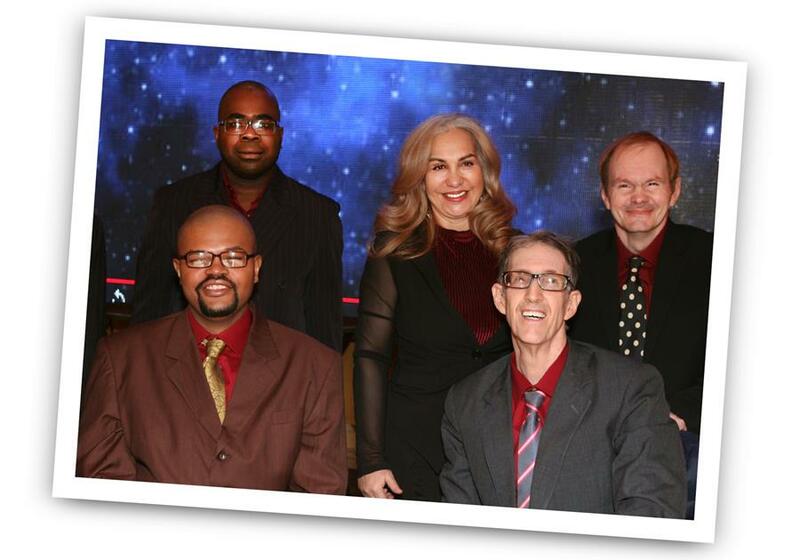 Trial will be performed on Thursday, March 28, 2019, 7:00 PM at the Tilles Center in Brookville, Long Island. Both Ashley and Lori are dedicated to educating the public about childhood sexual trauma. WellLife Network is proud and fortunate to partner with these and other outstanding performers in getting this vital message out to the community. 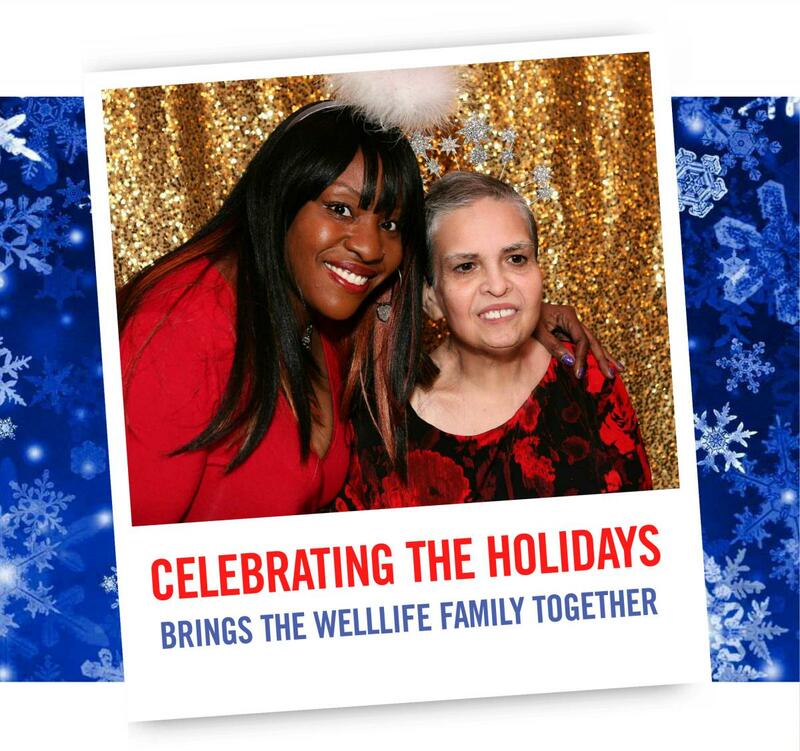 Your support helps WellLife Network to improve and expand its services across Long Island. The contribution you generously offer provides urgently needed services that help Long Islanders to heal and recover. $175 - 1 Ticket to the play offers you orchestra views and VIP status to an exclusive wine and dine cocktail "Talk-Back" session. 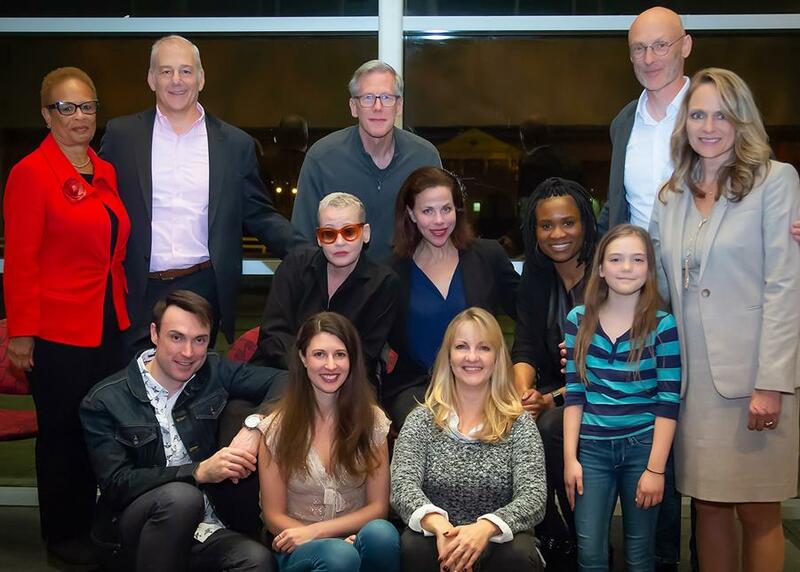 $1,000 - become an "Advocate" and receive 2 Tickets and VIP status where you can meet the actors of TRIAL and have photo opportunities with the actors. 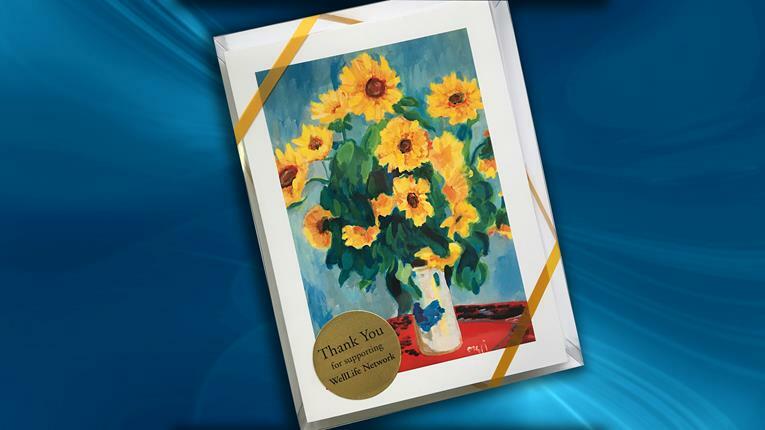 $2,500 - become a "Champion" and receive 4 Tickets, all of the benefits from the above levels, plus a box of 8 beautiful note cards inspired by program participant art. $5,000 - become a "Crusader" and receive all of the benefits above plus special podium and journal recognition and your name permanently inscribed on our Tree of Life leaves at our Huntington facility. Your gift today makes a big difference tomorrow and every day! Donate or buy tickets by clicking here today! Empty boxes decorated with gift wrapping paper and a familiar flyer announced the 2018 WellLife Network Care Coordination Toys for Tots Drive. Each day, generous staff contributed toys to help realize our goal of collecting toys for the children of the individuals we serve. This year, Anne Marie Kanable, Executive Assistant, obtained more than 160 toys and books from her friends and family. A team of dedicated staff volunteers lovingly wrapped the donations. The toys and books were then distributed to clients in our Care Coordination program, schools and a family shelter in the poorest and highest crime areas in the city. For the first time, the WellLife Network Care Coordination van, driven by Huson Dobson, was used as the gift distribution center. Community members also received information about WellLife Network and services which could be beneficial to them. 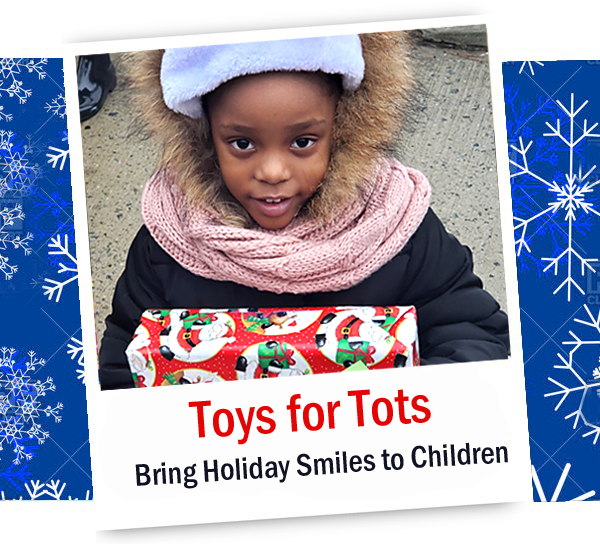 The result of this wonderful holiday project is reflected in the smiles on the faces of children who will now have a gift to open on Christmas day, and a toy to preserve the innocence of their early years. 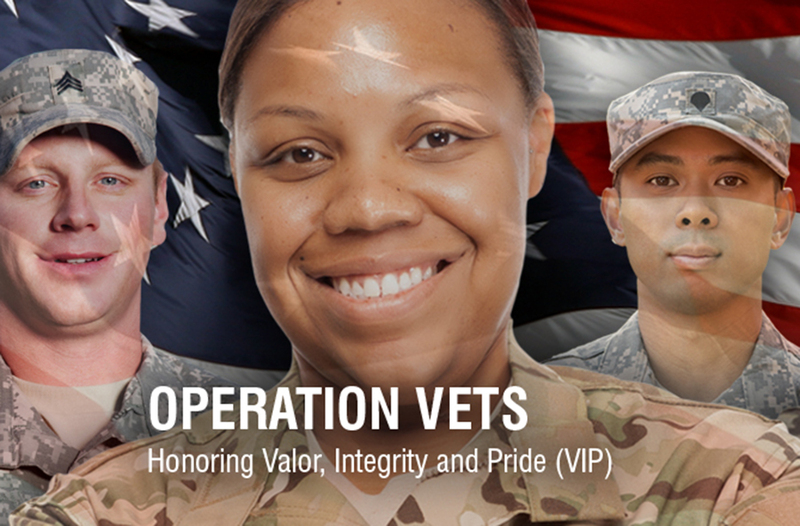 We are proud to continue this holiday tradition and thank our staff who participated. 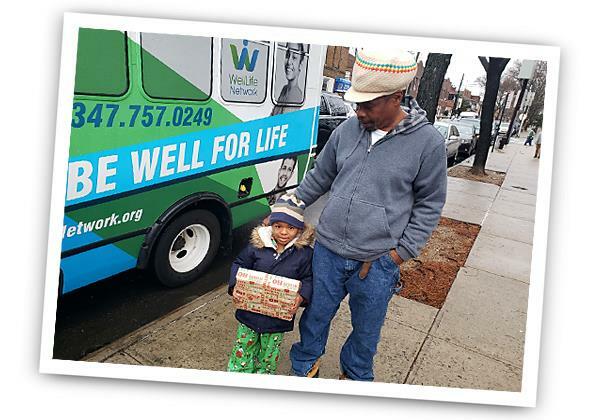 Ben and his daughter enjoy a special holiday surprise, delivered right to their neighborhood, by the WellLife Care Coordination mobile van. WellLife Network is a recognized leader in offering a broad range of personalized behavioral health day, residential and care coordination services to families and individuals coping with the many challenges brought on by emotional problems, substance abuse and mental illness. 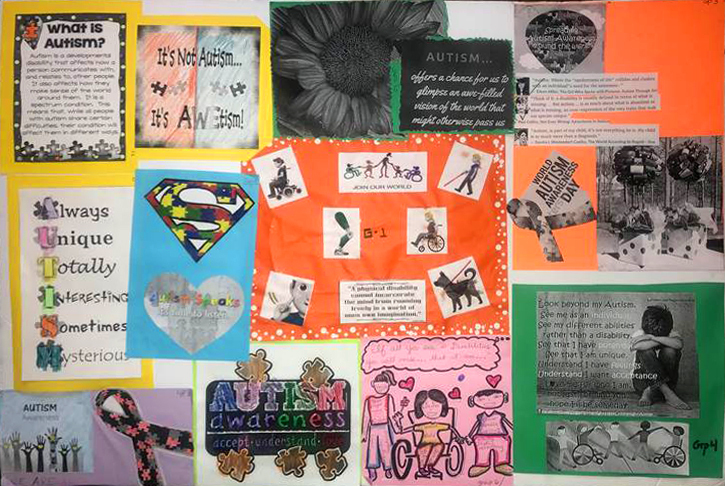 We also assist individuals with intellectual/developmental disabilities achieve greater independence in the community through residential, day habilitation, advocacy, entitlement and family support services. Some 2,500 individuals and families are assisted, each day, through our person-centered programs, helping them to achieve their fullest potential in an environment that values respect, dignity, caring and integrity. Please support the people who need our vital services to flourish and thrive. Your special year-end, tax-deductible gift of $25 or $50 – more if you can – does change lives. On behalf of all the children, adults and families in our community who supporters like you help each day, thank you and the best of holidays! As the holidays approach, the excitement that comes from celebrating this season’s “peace on earth and goodwill to all” serves as a guidepost to WellLife Network staff and participants alike. This was evident as some 800 individuals of our residential and day programs for individuals with intellectual, developmental, mental health and other disabilities gathered at Da Mikele Illagio in Queens for two enchanting evenings of dancing, dining and the joy of celebrating the holiday season and their accomplishments for the year. Residents of one of our Queens homes enjoying a star-filled evening with Ana, their WellLife chaperone. “I am so grateful to our compassionate and passionate staff. Their values of caring and concern, as evidenced by the outpouring of dedication and love I have witnessed tonight, have a profound impact on our participants’ quality of life and outcomes,” said Ann Marie Barbarotta, Chief Operating Officer, WellLife Network. 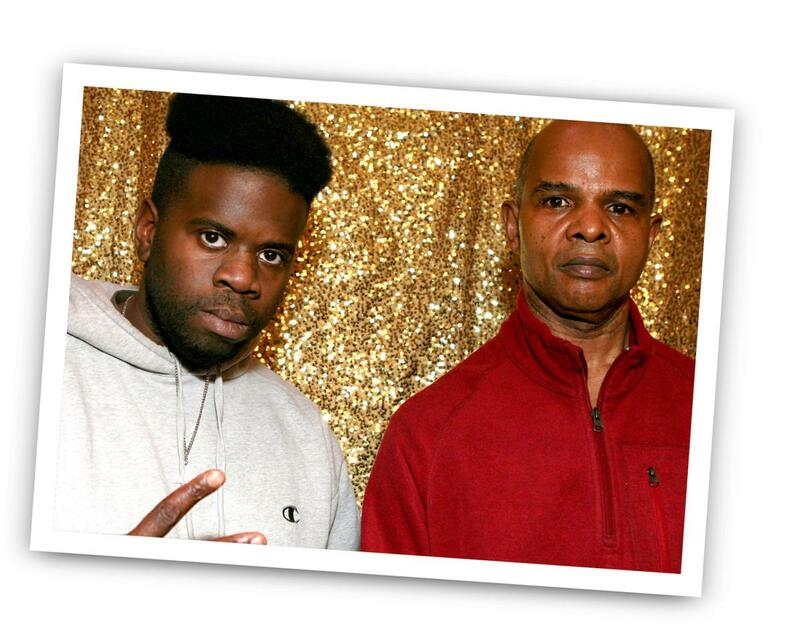 The evenings were celebrated with dancing, an array of healthy and beautifully prepared food and non-stop music, expertly DJ’d by our very own “DJ Suave” Glenn Martin (from our Training Department), making these two very memorable nights. Party guests, decked out in their finest array, wore a big smile as they sang, danced and dined. 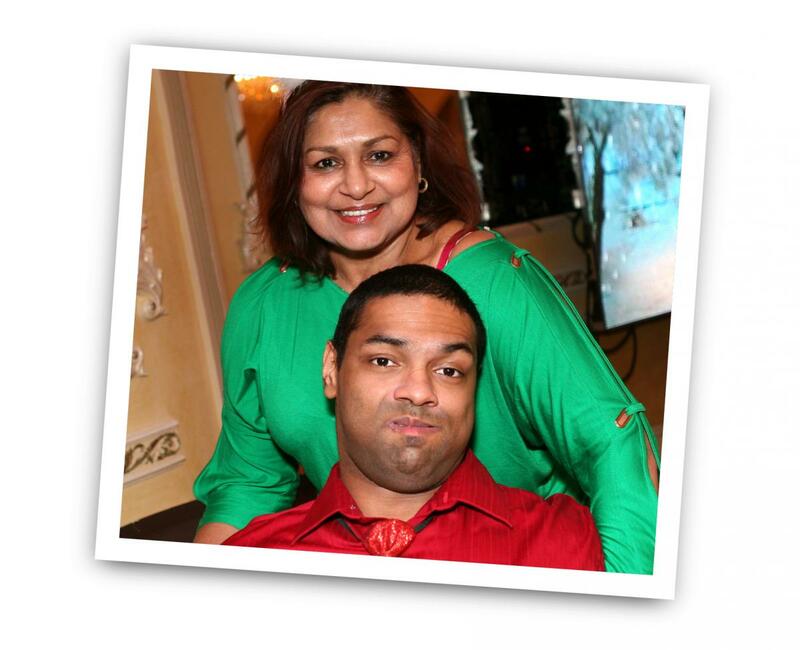 Reuel Saney, who receives community habilitation services from WellLife specialists at his home, enjoys an evening respite with his mother, Donna, at our holiday party. Mike and Errol, who live in our Suffolk County residences, are planning new goals for the coming year. Please support the people who need our vital services to flourish and thrive. Your special year-end, tax-deductible gift of $25 or $50 – more if you can – does change lives. You can done online by clicking here.